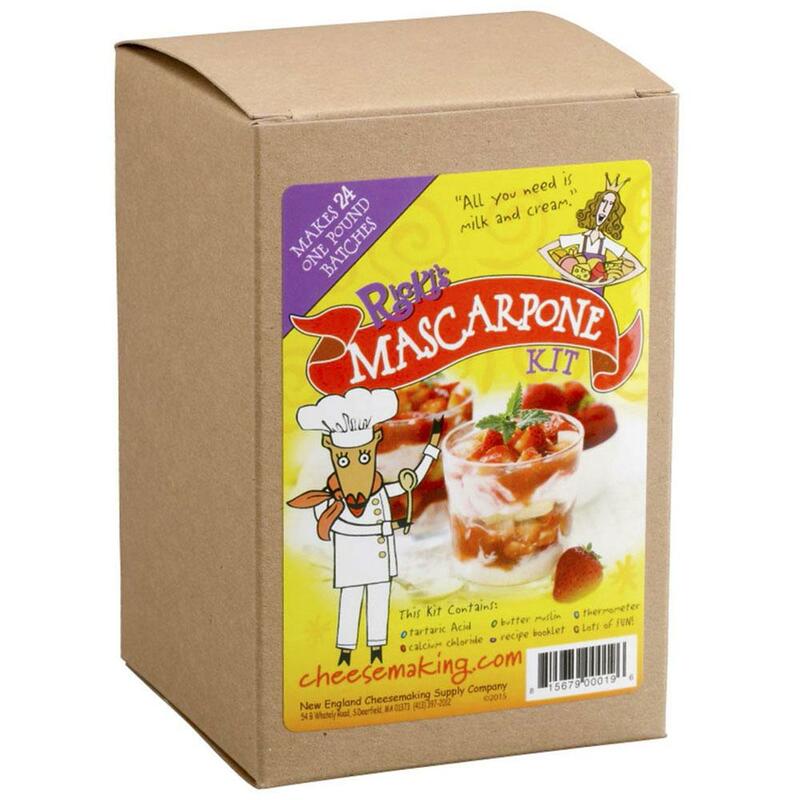 This Mascarpone cheese making kit is perfect for beginner cheese makers. Everyone loves how easy this kit is, simply add cream, tartaric acid, drain and enjoy fresh Mascarpone in your own kitchen. Make up to 30, one pound batches, of rich and creamy homemade mascarpone with this kit. Calcium chloride and tartaric acid should be stored, tightly sealed, in a cool location away from direct sunlight.